Tucked away in a corner of the upper galleries at Cheltenham Art Gallery and Museum (The Wilson) is a large but very calm and simple painting by the Gloucestershire (South Cotswolds) based painter Sir William Rothenstein. Although purist art-historians might protest that he is a Bradford or London painter I would suggest that whilst he was born and brought up in Bradford and went on to the Slade School of Fine Art in London before becoming a significant London based teacher he was nevertheless at home (literally) in the village of Far Oakridge, above Stroud, in Gloucestershire. It was in this hill country that he quickly engaged with the craftsmen and artists of the Arts & Crafts movement based in the area. In the very important Arts & Crafts Gallery at Cheltenham are two other paintings which are directly connected with the Far Oakridge area – firstly, a work depicting a number of the Craftsmen and, secondly, a painting titled ‘The Storm’, of his own house, Iles Farm, at Far Oakridge which he had renovated in the early 1920’s with the help of craftsmen of the Arts & Crafts group. The painting which is the subject of this blog seems to exude the peace and calm of his family growing up in the Cotswolds – including his sons John and Michael, who both became themselves eminent in the Arts, John as Director of the Tate Gallery and Michael as a pioneering print-maker. The painting has, in my hearing, often been dismissed as lightweight or sentimental – and therefore not worthy of serious consideration. I would profoundly disagree on two main scores. Firstly, this work is about humanity – about concern and love – of home comforts and domesticity – of family love and life. It reflects the painter’s own circumstances – the peace and tranquillity of the South Cotswold countryside and his and his family’s haven from the angst of life in London. Secondly, the work reflects Rothenstein’s understanding and appreciation of contemporary art – a light kindled as a student at the progressive Slade School of Art and in Paris. The grandiose statements, overwhelming detail, and cold ‘fussiness’ of the fashionable and ‘official’ art of the nineteenth century in both Britain and Europe was being severely questioned, by the Impressionists and Post-Impressionists amongst others. The Slade School was a conduit, a weapon, for British artists leading to a stripping of all unnecessary detail and ornamentation – concentrating on the fundamental essence of the subject. The strong influence of people like Monet and Gauguin can be seen in the progressive British art groups in Britain, from the New English Art Group in London, to the Glasgow School, to prominent regional groups such as the Cheltenham Art Group (founded in 1920). William Rothenstein was in the thick of this exciting new approach – as a painter, as a teacher, and as a pioneering re-organiser of the old Government School of Design into the Royal College of Art which soon became a rival to the Slade as the cradle of modern British art. In Britain two main strands emerged based on this radical new approach to art – firstly, the rise of pure non-figurative abstraction and, secondly, the rise of a purist, minimalist, approach to painting rooted in the person and place, the place being Britain, and, in relation to Rothenstein, the South Cotswolds. 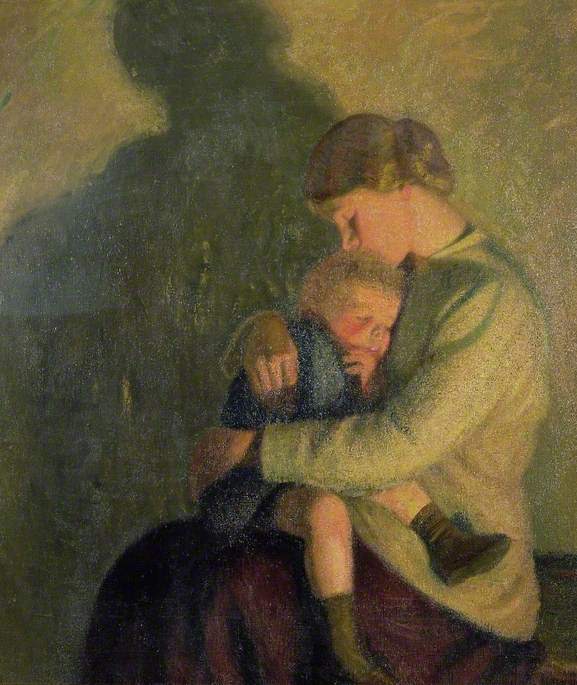 ‘Mother and Child by Candlelight’ is a good example of this modern British approach – pairing away interfering detail and focussing upon the fundamental subject matter. It is a work to be contemplated at leisure – its atmosphere and ethos gradually absorbed. David Addison. October 20th 2018. One of the current exhibitions, ‘Window into the Wilson’, at Cheltenham Art Gallery & Museum (The Wilson) seeks to involve the general public in understanding the work involved in running an Art Gallery and Museum. 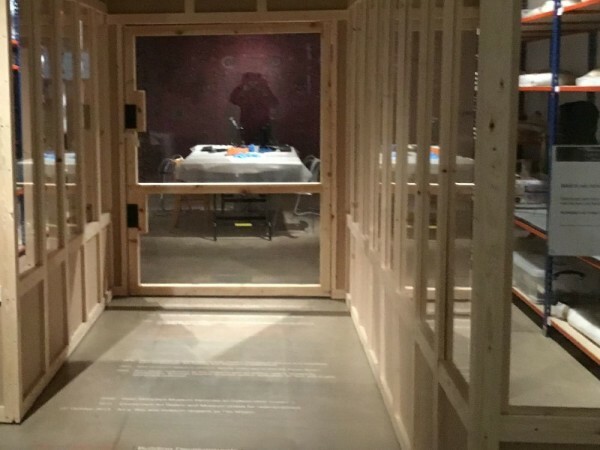 The photograph below gives an idea of what visitors are faced with as they enter the gallery – a room within a room, but with glass walls – an ‘Open Store’. Like the proverbial ice-berg there is a great deal of essential hidden work which continuously goes on behind the scenes looking after the very extensive and important collections which belong to the people of Cheltenham. Throughout the next six months or so this ‘exhibition’ is on view – useful information sheets explain the idea behind the design of the exhibition and a list and information on some of the items seen on the shelves. On Wednesdays and Fridays, from 11am to 3pm, relevant curatorial staff will be working in the ‘bubble’ and visitors are encouraged to wander in, explore, and have a chat with the specialists. The exhibition has been open for over a week so it is early days – for it could appear ‘different’ and challenging – and possibly initially incomprehensible! I have, as a Fine Art Curatorial Volunteer, manned several sessions with a colleague and have found the experience mixed but interesting – in fact the work I was doing frequently was interrupted by curious and enquiring, and often hesitant, visitors. What has already been revealed is that, given the opportunity, visitors have very useful and interesting comments to make about a variety of things – including practical things which are very useful as the Art gallery and Museum is constantly seeking to develop and improve its ‘visitor experience’. One experience in the last few days stands out – a couple who were visiting Cheltenham for the first time had climbed the massive new staircase and having seen the paintings and sculpture in the first gallery to the right they had ascended further and wandered into the next gallery on the right (Window into the Wilson). After looking around and chatting to us they commented that there did not seem to be many paintings or museum objects which they had expected. I realised that some serious PR work was needed here! 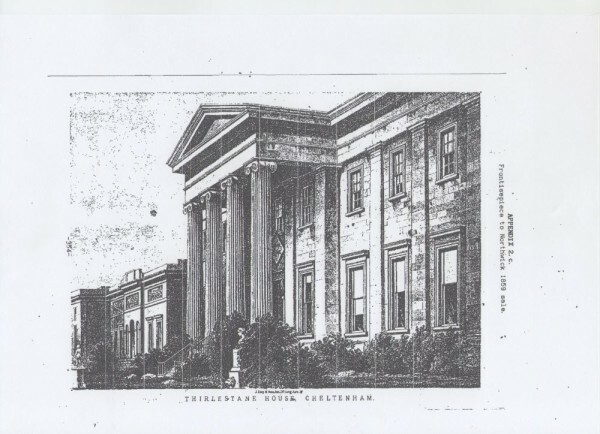 I started by showing them a design for a brass candle-sconce and told them that they could see the finished work in the Arts and Crafts Gallery – and emphasizing that Cheltenham held the major national collection of Arts and Crafts items, including not only furniture and metal work but other related objects AND an important and extensive archive of drawings and designs. So I led them in to the Arts and Crafts Gallery and showed them the candle-sconce and then took them on a quick guided tour of the extensive museum galleries, which include important paintings. Sadly the sign-posting for the museum galleries is sadly lacking and nothing downstairs in the entrance space is apparent for any but a regular visitor. As a postscript to this tale – I saw my ‘boss’, the senior Curator, and told her about this experience. She was pleased – and then asked if I had got them to make a comment in the Visitors Book! I had not! So I quickly returned to the galleries and found that they were still exploring the hidden treasures and, telling them I had been told off by my ‘boss’ (a bit of an exaggeration!!!) I asked them if they could possibly pop a comment in the book – they assured me they would make some favorable comment (I have not dared to look!). In the annals of art history the important art collection of John 2nd Lord Northwick, who died in 1859, is referred to frequently – but with little attention to detail, particularly in relation to the man himself and his collecting. One reason for this is the fact that he did not marry, and therefore no son to inherit. But the main reason is that he appears not to have made a Will – at least one could not be found – which necessitated the enforced Sale of his collection. My concern in this series of essays is predominantly with his collection of paintings – but his enormous collection included much more – works on paper (watercolours, prints, and drawings), applied art (cameos, gems, coins, and ‘antiquities’), as well as books and manuscripts. Items from his entire collection have found their way into major collections in this country and abroad – and a Northwick provenance is of enormous value, not least in the Sale Room. In this first essay I am concerned with attempting an initial picture of the man – someone who did not seek publicity and thus no iconic painted portrait as there was with most other collectors. 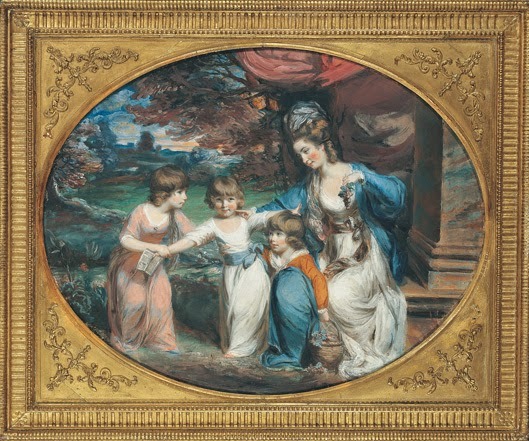 The only visual records seem to be from his youth – first as a young child with his mother and two sisters – secondly a portrait by his family’s favourite painter, Angelika Kauffmann, whilst he was on his Grand Tour, a work which appeared briefly in a mid twentieth century sale and has now again disappeared into obscurity. Angelika Kauffmann : ‘Sir John Rushout’ (later 2nd Lord Northwick) : 1794. The family history of the Northwick’s is difficult to unravel partly because it seemed to suffer greatly from frequent early deaths and the lack of sons to carry on a direct line – and it was only in 1797 that the baronetcy of Northwick was granted, a title which John, the 1st Lord Northwick, did not long enjoy dying in 1800. Rushout was the family name and whilst early history of the family is uncertain things become clearer from the early seventeenth century when John Rushout, a native of France, settled in London and listed as a Flemish Merchant. He seemed to have quickly settled in and became a wealthy man – acquiring Northwick Park, in the village of Blockley which straddled the Gloucestershire and Worcestershire boundary, as his country seat, soon to be regarded as the main family home. Clearly influential and desirous of further social and political development he arranged for his son James, then 17 years old, to be created Baron of Maylards(possibly later ‘Maylords’) in the county of Essex. James was ambitious and hard working becoming the MP for the constituency in which Northwick Park was sited. 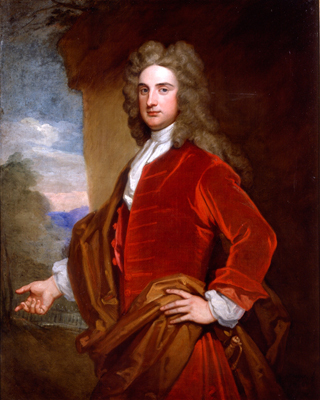 After several early deaths the fourth Baronet, Sir John Rushout, took up his title in 1711. He was an active politician and served as Treasurer of the Navy in 1743/4 when he was made a Privy Counsellor and from 1762 to 1768 he was Father of the House of Commons. He died in 1775 aged ninety. 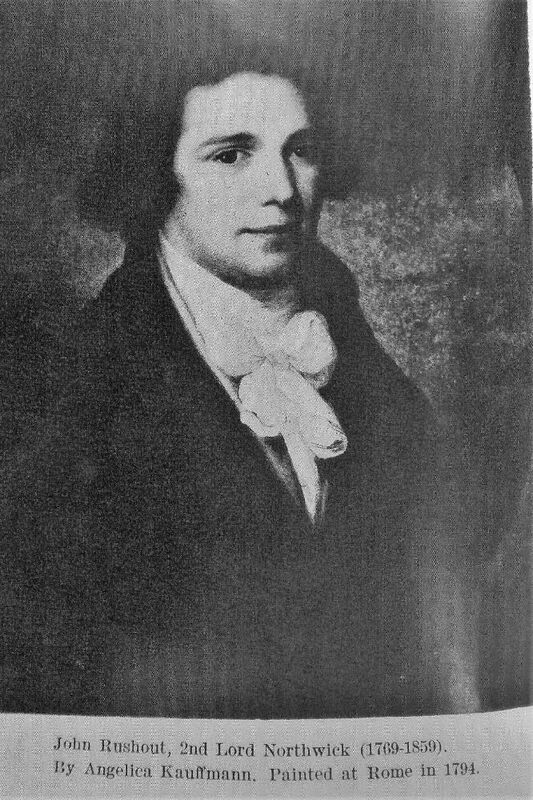 The Fourth baronet was succeeded by his son, also John, who benefited from his father’s work and aspirations by being elevated to the peerage as the First Lord Northwick in 1797 – but not for long as he died in 1800. The title then passed to his son, another John, who was the subject of these essays, the 2nd Lord Northwick, born in 1770. Unlike many of his contemporaries the second lord was not educated at one of the major Public Schools, or at one of the two English Universities – instead his parents sent him abroad for his teenage education. In 1790 he embarked on an extensive Grand Tour – visiting several European countries but particularly Italy. Our John took the Grand Tour very seriously and enthusiastically embarked upon it in a spirit of eager enquiry – quickly making several important serious contacts including Edward Gibbon, Sir William Hamilton and his wife Emma, Horatio Nelson, and Richard Payne Knight – as well as several major artists including Antonio Canova (sculptor) and Vincenzo Camuccini (painter). Europe seemed constantly in the grip of continuing political, and thus military, conflict which – as well as often appalling travel conditions – made for an exciting life. It was whilst staying with friends at Palermo that the British ship HMS Vanguard was temporarily stranded in the Bay which meant that John and his friends were arguably the first English people to receive the news of the Victory of the Battle of the Nile – from Nelson himself! The upheavals in Europe, particularly Italy, did provide possible rich pickings for collectors as ancient family collections were sold off by their impoverished owners. John Rushout found himself, with the help of expert advice and contacts, in an exciting world of possibilities. Not for him the pleasures of wine and the flesh – his fellow young travellers appeared to have despaired by the fact he much preferred chasing up collecting possibilities. His early forays into collecting, advised by the knowledgeable William Hamilton and Payne-Knight, started with smaller items such as coins, intaglios and cameos, and gems – but also venturing into prints and the occasional painting. As he approached ten years immersed in his adventures and discoveries abroad news came of the serious illness of his father – who died in 1800. Early Years – 1800 to 1838. It is clear from the manuscript evidence of the family that Lord Northwick began seriously collecting in the early decades of the century and developed serious contact with major dealers and other collectors. One practical result was lack of space for hanging this rapidly expanding collection of paintings – a problem he started to resolve by buying a new London property in Connaught Place, a new and exclusive development adjacent to Hyde Park. There is evidence that from the 1820’s he welcomed visitors to view his works – both young and old. The breathing (or hanging) space of Connaught Place was not to last long – he had built a large purpose-built art gallery extension to Northwick Park in the early 1830’s. But even this was to prove inadequate – and Lord Northwick, planning ahead and now firmly established in the art and collecting world, sought to buy something bigger outside London. It was in 1838 that he decided upon a large neo-classic mansion on the outskirts of Cheltenham – Thirlestaine House – and quickly sold his London house in Connaught Place. At the same time he put up a considerable number of paintings for sale by Christies – many of which remained in his collection – which suggested he was doing something he regularly did – ‘weeding , with their hanging space potential, provided a further boost to his collecting. It was Thirlestaine House which now began considerable expansion – almost every few years between 1840 and 1855 new galleries were built. In other essays I shall deal with aspects of the collection at Thirlestaine House but here I note that Lord Northwick’s wish to share his collection with the public became evident from the early days of his arrival. The local weekly magazine, the ‘Cheltenham Looker-On’ began, in the early 1840’s, a series of articles on the paintings at Thirlestaine House – which quickly developed into a published catalogue, which was revised and re-published several times over the next twelve years, the last one being a year before his death in 1859. 1859 – Death of the Northwick Collection. The 2nd Lord Northwick died not long before what would have been his ninetieth birthday – to nationwide as well as local mourning. But his death proved to be the death of the collection he had so carefully built up over decades – because no Will could be found and, being unmarried, he had no son and heir meaning that the whole collection had to be sold. The great twenty-one day sale, with other smaller sales in 1860, was conducted by the then rival to Christies – Phillips – at Thirlestaine House, with works coming in from Northwick Park. The national press followed every day and every sale, every price and every purchaser – it was a major national event which has gone down in history. The tragic fact is that the majority of works have ‘disappeared’ – some have appeared in the collections of major purchasers but these too, when sold off, have ‘disappeared’ – a relatively few now appear in major collections such as the National Gallery in London and other British public collections (Cheltenham has two works) – and quite few now appear in major USA collections and elsewhere world-wide. The heir to the 2nd Lord Northwick , the 3rd Lord Northwick, acquired or kept quite a number of important works which were dispersed at the death of his heir, Capt Spencer-Churchill, in the 1960’s – again to disappear into purchaser anonymity. As to Thirlestaine House – the family did not wish to be burdened with it and, eventually, sold it to the great, but reclusive, collector of books and manuscripts Sir Thomas Phillipps. At his death the burden fell heavily on his fractured family who eventually managed to sell it to Cheltenham College in 1948. In the second half of the nineteenth century (he was born in 1872) drawing was a fundamental skill for a number of professions and activities – not purely an ‘art’ activity. The training of a profession of ‘artists’ as we understand it did not really get going until the end of the nineteenth century – the founding of the Royal Academy Schools in 1768 was primarily a training for skilled artisans. Attending Cheltenham College he would have found a strong ‘Drawing Department’ as the school, like several schools throughout the country, had a strong tradition of training boys for the military and for such professions as medicine where drawing was essential. Medicine, particularly surgery, required accurate and detailed recording – and the military, both army and navy, were the ‘eyes’ of the British Empire recording new territories and unexplored areas as well as coasts and terrain. 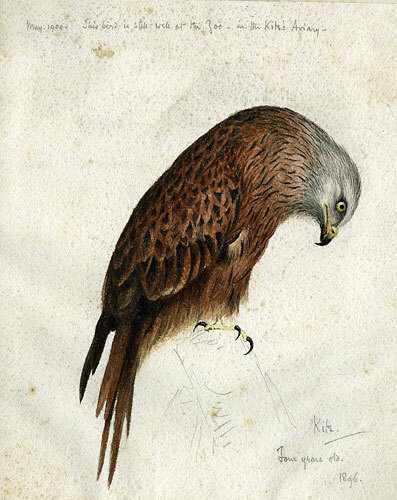 The great tradition of British exploration from Elizabethan times onward had as essential members doctors (particularly surgeons), botanists and ornithologists, and artists – sometimes, as in Wilson’s case, all rolled into one. In this context we noted that Scott had started to include photography – and we were able to look at some of these early photographs and compare them with the paintings and drawings of Edward Wilson. On leaving school , in 1890, Edward went up to University at Cambridge, where he read Natural Sciences and Medicine. We were able to see works from his Cheltenham years and whilst at Cambridge – from detailed analytical work to broader ‘landscapes’. After Cambridge he went to London to train as a surgeon and qualified in 1901 – a period in which he continued drawing and painting. During the course of the sessions two pertinent questions arose on the art side – can we accept him as an ‘artist’? – and how on earth do you paint in Antarctica? The first can be answered quite simply by looking at the work he produced – yes, his work is of a high calibre. Nineteenth century society, the rising middle and professional classes as well as the aristocracy, regarded painting and drawing as a necessary and enjoyable accomplishment – witness the large number of ‘sketching clubs’ during the period. 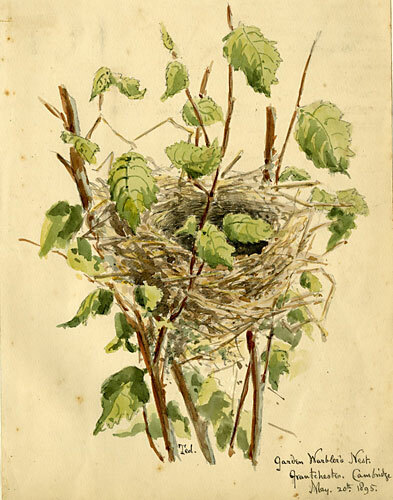 Wilson, competent as he was, did not see any necessity to enter his work into public exhibitions or get involved with a commercial art market – he enjoyed his own ability and saw it as an essential ingredient of his working and personal life. 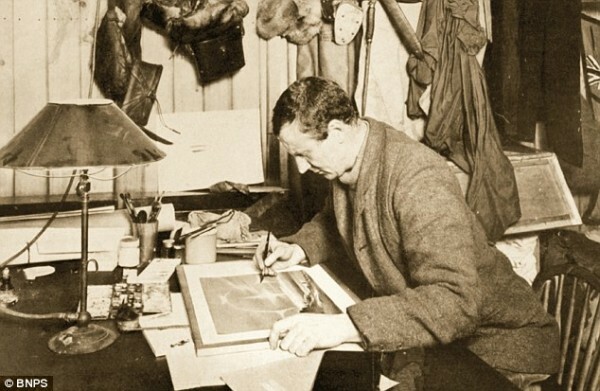 In terms of using his skills in the extreme cold of Antarctica – it clearly must have exercised his mind and those of his explorer companions. 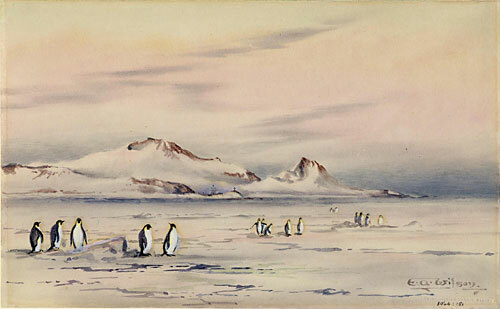 Watercolour was always his chosen painting medium – and there was no shortage of water in Antarctica! On display during our sessions were the sort of items which he used – solid blocks of watercolour pigment – soft brushes – graphite pencils or sticks – charcoal – pens and India Ink. In the latter case it is probably unlikely he took bottles of liquid India Ink – so he could have used the centuries old method of a solid stick of ‘lamp black’, scraping some off and mixing it with water to the consistency he wanted. So much for the materials – but what about how he painted or drew? Popping outside with a portable easel, a canvas stool, and his box of painting equipment was clearly not possible. 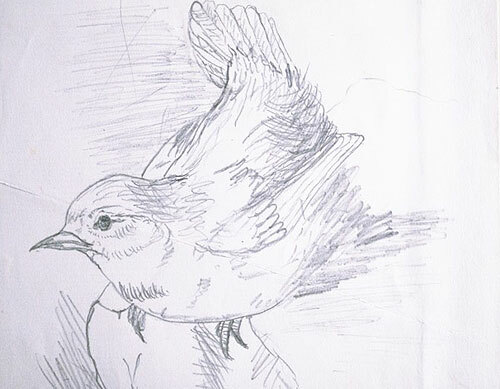 In fact he made very quick shorthand sketches outside, marking them, often later (he had a terrific visual memory), with his own notation concerning such things as colour and detail. When inside he had a corner of the hut where he developed his ‘jottings’ into a final form – we saw a photograph of him doing just that. The three sessions were very enjoyable for all concerned – much discussion and exchange of ideas and comments. I look forward to more of these sessions exploring the often hidden corners of the work and collections of Cheltenham Art Gallery and Museum. JasonsAine on Graham Sutherland, Devastation. Tech blogging on Which Penley artist?